Jimmy Webb (born August 15, 1946 in Elk City, Oklahoma) is an idiosyncratic American popular music composer. Jimmy Webb is responsible for writing numerous popular and Top 10 hits sung by a disparate group of artists, including Glen Campbell ("Galveston"); Art Garfunkel ("All I Know"); Donna Summer and many others. Webb's father was a Baptist minister and a former Marine. His mother died when he was a teenager. His most popular songs were all composed when he was between 19 and 21 years of age. 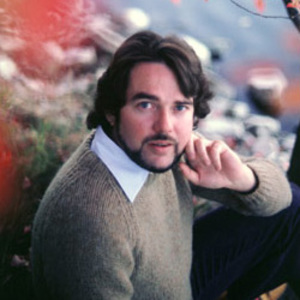 Jimmy Webb is responsible for writing numerous popular and Top 10 hits sung by a disparate group of artists, including Glen Campbell ("Galveston"); Art Garfunkel ("All I Know"); Donna Summer and many others. Webb's father was a Baptist minister and a former Marine. His mother died when he was a teenager. His most popular songs were all composed when he was between 19 and 21 years of age. "By the Time I Get to Phoenix" is one of the most recorded songs of the 20th century. He is noted for having written songs that were hits in the 1960s, 1970s, 1980s and 1990s, and is the only person to receive Grammy Awards in all three categories: music, lyrics and orchestration. Webb has also written the music for the animated film The Last Unicorn. Webb is also a performer of his own music, although his solo output has never matched the commercial success of recordings of his work by other performers. He was elected to the National Academy of Popular Music Songwriters Hall of Fame in 1986.